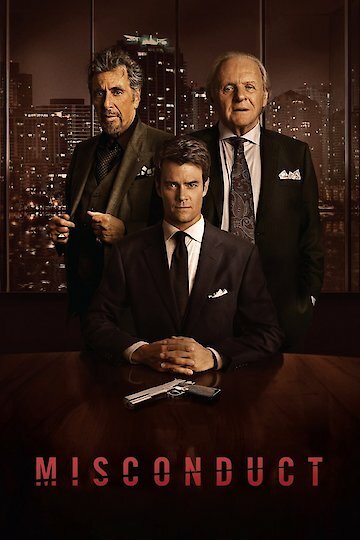 An ambitious lawyer Ben (Josh Duhamel) finds himself caught in a struggle between a corrupt pharmaceutical executive Denning (Anthony Hopkins) and the firm's partner Abrams (Al Pacino). The case takes a deadly turn and Ben must uncover the truth before he loses everything. Misconduct is currently available to watch and stream, download, buy on demand at Amazon Prime, Starz, Amazon, Vudu, FandangoNow, iTunes, YouTube VOD online.